There are some games that are publicised for months or years before their release. Games like GTA IV or Duke Nukem Eventually have whole campaigns of press releases and teaser trailers before they hit the streets, and you'd be hard pressed to find a gamer who hasn't heard anything about them. At the opposite end of the spectrum are the games that sneak up on you from nowhere with nary a blip on the gaming radar. There are people who know about these games, but they're secretive types with special handshakes. 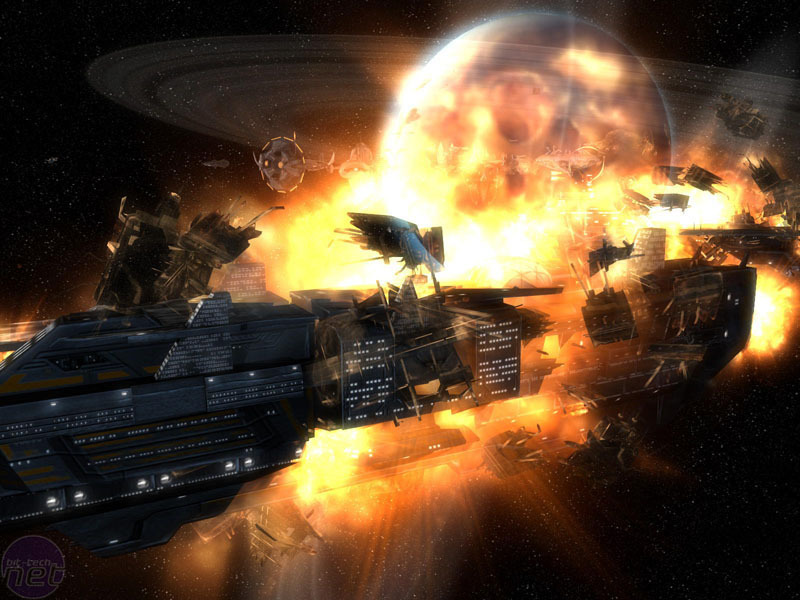 Sins of a Solar Empire is a game that falls into the latter category. It's published by Stardock Entertainment, the PC entertainment arm of the WindowsBlinds company, and written by Ironclad Games, a company formed from the team that worked on the expansion to the classic Homeworld, Homeworld: Cataclysm. In a clash of genres, Sins is best described as an online 4X RTS. While that may sound like a bit of a mish-mash, it actually works quite well. 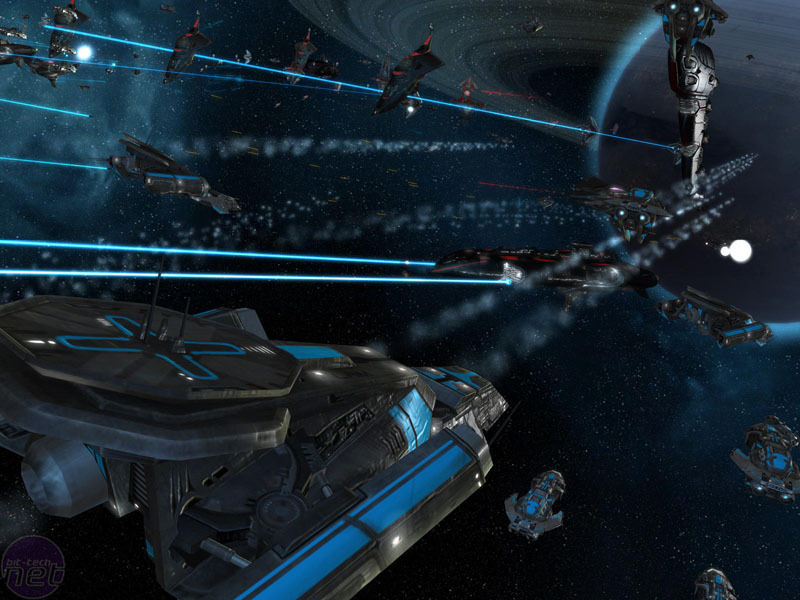 The game essentially plays as an RTS but with the deeper experience of a 4X (eXplore, eXpand, eXploit and eXterminate) game – the experience focuses more on the "strategy" element, meaning that the pace of the game is much slower than a standard RTS. As Stardock itself puts it, the key to victory in Sins is to consider your options and base your actions on what you discover – not to rush in all guns blazing. The story of Sins of a Solar Empire is set in the distant future, long after humanity has spread around the universe, with the player taking the part of one of three possible races. The humans have operated as a loose coalition of worlds trading with one another for centuries when human-controlled space is invaded by the Vasari, a race of aliens fleeing an unknown self-inflicted catastrophe. As a result of this invasion, the trade coalitions are abandoned and a military structure known as the Trader Emergency Coalition (TEC) is created to fight off the aliens. However, if one invasion wasn't enough, into the fray come the Advent – descendents of humans exiled over a thousand years ago because of their deviant practices. A millennium of genetic engineering has rendered them barely recognisable as human and their technology is completely alien when compared to the TEC. Thus, the battle is on! He may have been short and French, but Napoleon was still a force to be reckoned with on the battlefield. Can the collective might of bit-tech possibly stand up to the diminutive invader? We jump into Sega's Napoleon: Total War to find out once and for all!